Capcom has posted its financial earnings for the six month period ending 30th September 2013 and things are looking good for the Japanese firm as sales have shot up 16.9 percent on last year's figures, with the help of popular titles such as Monster Hunter 4. Indeed, anyone who's been keeping up with the Japanese sales charts will have noticed how the beastly 3DS game has been smashing it up and taking no prisoners on its quest for glory. It snapped up two million sales in its first four days alone in the region with Capcom citing its "immediate success" as a big factor in the solid financial results. It now has around three million units under its belt, though a Western release has not yet been confirmed. Meanwhile, the company noted that Resident Evil Revelations, the 3DS remake that released on HD systems including the Wii U, and Phoenix Wright: Ace Attorney - Dual Destinies "basically achieved projected sales". Capcom has also confirmed its best selling games and franchises. Resident Evil is by far the biggest brand for the company, after selling 60 million units across the franchise but Monster Hunter is hot on its heels with 27 million copies sold to date. The monstrous title is closing in on Mega Man, which has no known upcoming new games and has shifted 30 million units overall. The Phoenix Wright series is doing quite well too, with 4.9 million units sold since it emerged. The firm's net income increased by 20 percent to 4.95 billion yen and it said it is on track to meet the set targets for the full financial year ending March 2014. Looking to the future, it is currently restructuring in the West and has stated it will be focusing a lot more on digital content, as it expects a significant decline in packaged games. 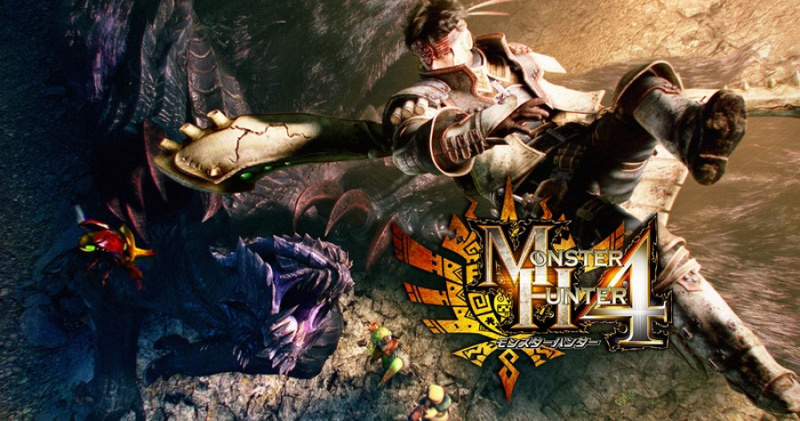 What are your thoughts on Capcom's sales and the dominance of Monster Hunter 4? Would you like to see it come hunting in the West? Let us know in the comment section below. Sales still below P3rd I think. Hope they're working on MH4G for Wii U; something like that should release in a couple years. Don't want Capcom to die!! I do however want them to return to their glory days for the Resident Evil series. Monster Hunter and Ace attorny are fine but bring back the HORROR!! @AVahne The 3DS also has a lot smaller base than the PSP. Factoring that in, these sales are extremely impressive. Hopefully see a MH4 release, just not near SSB... It'll be bad this month with Zelda and Batman. MonHun is a system seller in Japan though, so I expected higher software and hardware sales, especially since this is the second MH game for 3DS;fans should know by now what system they should get if they want to continue hunting. I agree with MH4 on Wii U. Just allow players to fully customize the gamepad and we'll have the definitive MH. I want some of the lesser known CPS1 & CPS2 stuff to be released. Megaman / Ghosts n Goblins / Streetfighter / 194X / Knights of the Round are the franchises I quite like from them. (There again I like Viewtiful Joe). What I don't like is what Capcom thinks the Western market wants. I am not that into Devil May Cry but even so I think the Western targetted one is absolutely awful. @AVahne Chances are we're not seeing the digital sales either. We also have to factor in that 3rd portable has been out longer. I think digital sales have been shown? I'm not sure, but we'll see how MH4 sells after a year. Hopefully sales don't die down too quickly. They are already in trouble whyd they risk releasing it on WiiU:(? You only did one and said more will come in son after....weeks ago. Nice, Capcom, nice. Now bring MH4 to Wii U in 2014. MH4 Wii U Please!! Though i have no problem waiting, I still am enjoying MH3U. Is that a rhetorical question? OF COURSE we want to hunt! Fortunately for me, I'm so wrapped up in MH3U on Wii U, I've got at least another 6-12 months of armor sets to wear, monsters to trap and tranq, and long swords to sharpen! I really, really, really want Monster Hunter 4 to come to NA. But I REALLY, REALLY, REALLY want Monster Hunter 4 to get a full HD Wii U version! They can just follow suit with MH3U, which is imo, the perfect video game. It's perfect in every way... wow I love that game on Wii U!!! They did a spot-on job with MH3U on Wii U with regard to the gamepad. I love having the map, the two shakalaka signals and target lock. I can still set up the game to play with the Pro Controller, but I def prefer gamepad. It declutters the screen a ton, which is invaluable in a scrap with a Pink Rathian or Azure Rathalos. @JogurtTheYogurt I guess that's a different kind of horror! I'd absolutely love a localized Wii U version of this, even if it's only a digital release. Make it happen, Capcom! @unrandomsam The western DMC was terrible. I miss old Dante. Oh well, time to move on to bayonetta. MH4 localized globally and a new MH game built just for Wii U. That's what i want at least. Yes, I would like to see this Capcom bring this to the west, and maybe Square could bring DQ VII. I think capcom are improving. They've got a long way to go, but now I hate them less than EA and Activision. Congratulations! Can't wait for 3D Classics : Resident Evil 4 - for 3DS. Thats gotta be easy money. So what if everyone has already played it on the Wii. I'm bothered by everyone wanting MH4 on Wii U. Why don't we patiently await the game's release here, instead of wishing for other versions before we've gotten the chance to play anything at all? 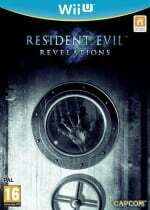 Now make a new resident evil exclusive to 3ds ! I loveddddd revelations ! I'm guessing that the 3DS version of Monster Hunter 4 was released early in order to bridge the gap financially until the completion of the console versions. I'm sure CAPCOM knows that they'd more than profit off a multi-platform release with MH's loyal fanbase. Who knew making games that people wanted on handhelds or systems that people want to play on would lead to profits?